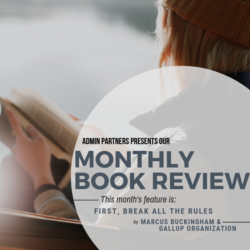 Welcome back to the Podcast Series here on the ADMIN blog. 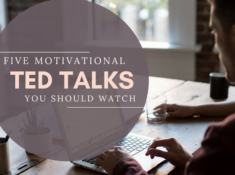 It’s been a while since we have shared some of our favorite podcasts, but we think that this post will prove it was worth the wait. Today’s list is all about communication; both in and outside of the office. That’s the funny thing about how communication and business work: it doesn’t always sit inside the walls of the office during working hours. 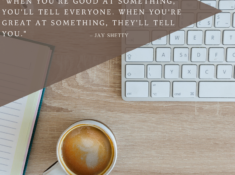 Sure, communication skills are essential when in a meeting with coworkers, but those skills are also necessary when you write and speak with people outside of the office. 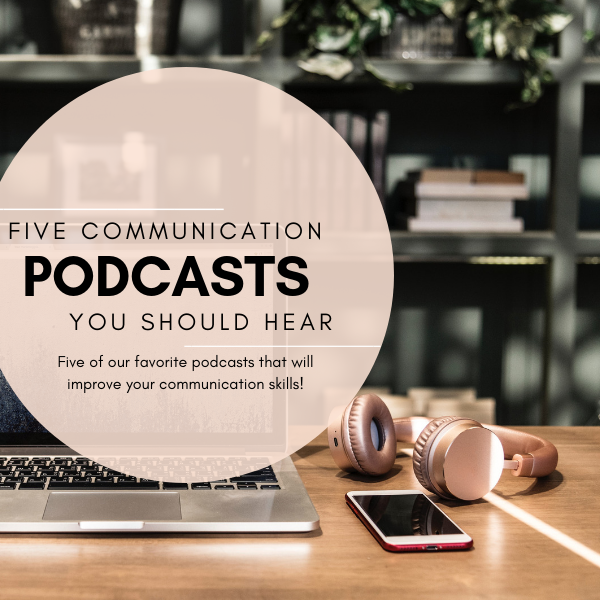 So here are some podcasts that will help you strengthen your communication skills. 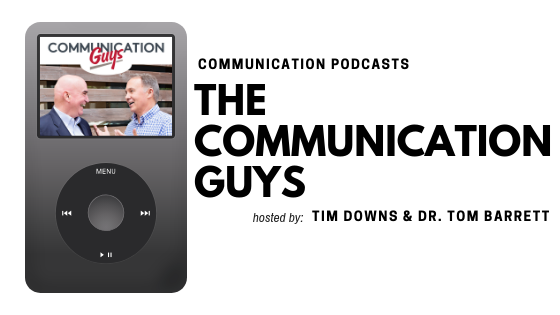 A majority of the podcasts we found regarding communication were directed towards verbal contact with others, but this podcast switches things up a bit. How you speak, teach and write to others are all essential forms of communication. Because of this, it’s important to ensure your communication skills are valuable in all areas. This is where Tim Downs and Dr. Tom Barrett come in to play. They focus on teaching universal principles that will excel you communication skills in any settings and use their experience in business to show the impact these techniques can have on those you communicate with. 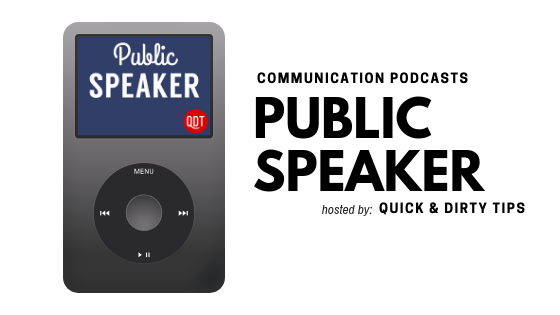 We understand that adding a podcast with the title ‘Public Speaker’ in this list might scare off a few people, but we promise this title is deceiving. We say this because the content inside of this podcast goes far beyond just speaking on a public platform. 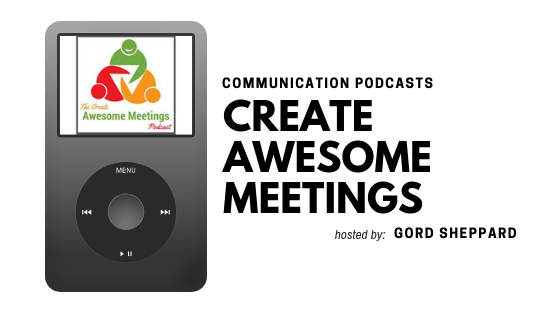 The essence of their episodes is about creating effective communication in all aspects of your life. 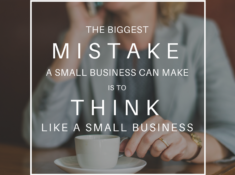 This includes in personal relationships, in disagreements both in and out of the workplace, and communication that can lead to growth in business. The creators of the podcast, Quick & Dirty Tips, also have a slew of other content that you can browse including technology, health, and even parenting. 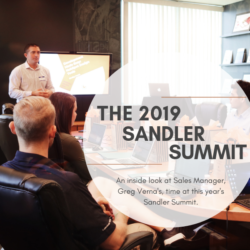 Being an impactful leader comes with plenty of challenges, specifically when it comes to connecting with your employees. 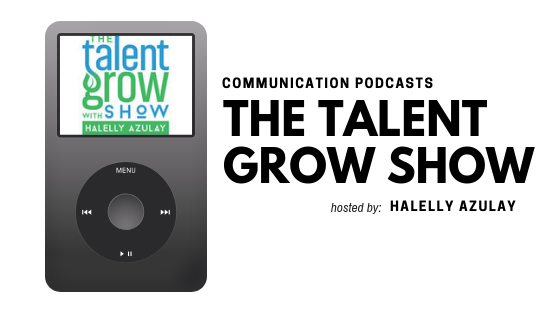 With this in mind, we felt obligated to share The TalentGrow Show Podcast on this list. Whether you are a new leader trying to find your ground or an experienced leader looking to enhance your existing skills, this podcast is for you. Halelly Azulay has an array of guests join her to gain insight on how leaders can create genuine relationships with their employees. The goal is to become a leader that people want to follow, not one they have to follow. One area of business where effective communication is imperative is in meetings. Whether it be a sales meeting with a prospective client or an internal group of employees meeting to discuss enhancements to a process, meetings are where communication shines. Gord Sheppard, a Professional Meeting Facilitator, shares practical tips and techniques that help make meetings both productive and profitable. Who hasn’t been in a meeting where the wrong people were invited, remarks are taken out of context, and everyone leaves the room wondering why they were there in the first place? Gord and his guests use their experience to present ways to handle all of these common obstacles. 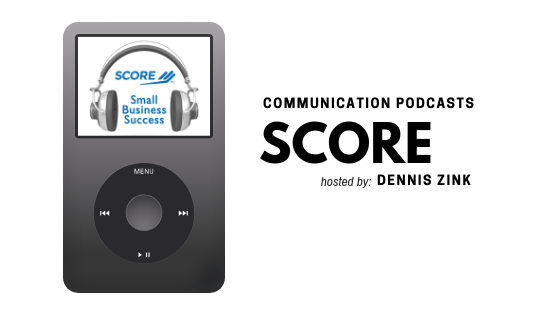 The SCORE podcast is our go-to for everything small business related. Now, we know that we said this list was centered on communication, but hear us out on this one. Communication isn’t just how you directly interact with employees and clients. It’s also about how you showcase yourself as a brand. 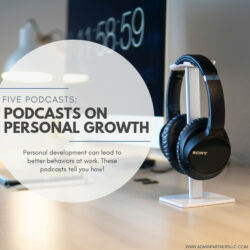 With that being said, finding a podcast like this one that touches on HR, marketing (including social media & SEO) as well as how to build a strong business plan is clutch for those in the small business marketplace. We want to know: what are some of the podcasts that you are listening to now? 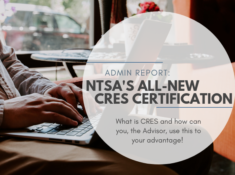 Share them with us in the comment section below! So great to be included in your recommendations among such other excellent podcasts. Thanks!